While many of us associate winter RVing with Arizona, Texas, and Florida, even the Pacific Northwest has its share of places and activities that lend themselves to RVing. The folks at Washington's Olympic National Park would love to have more company this winter, and put together a few suggestions on what might draw you to their little corner of the world. Winter offers a wide variety of opportunities for visitors to Olympic National Park. For those who enjoy indoor comforts, options include ocean storm-watching from your RV (or alternately the Kalaloch Lodge along the park’s Pacific Coast) to lakeside dining at Lake Crescent Lodge to weekend day trips to the Hurricane Ridge Visitor Center on snow-covered Hurricane Ridge. Outdoor opportunities abound too, from camping to hiking to snowshoeing, states a park press release. "Every season at Olympic brings its own magic, and for the prepared visitor, winter can be an excellent time to experience the many facets of the park," remarked Superintendent Sarah Creachbaum. "I encourage visitors to take advantage of this special season at Olympic National Park – beginning with checking the weather forecast and preparing for cold, wet or snowy conditions." Current information is available at the Olympic National Park Visitor Center in Port Angeles, open daily from 9 a.m. to 4 p.m. The visitor center will be closed on Dec. 25 for Christmas. "However, given the ongoing uncertainties about our budget this year, it’s essential that we use a great deal of caution in spending," Creachbaum continued. "When the government shutdown ended, Congress provided funds to operate the parks through Jan. 15. Final funding for Fiscal Year 2014 will not be resolved before then." With all of that in mind, the park staff are aiming to shuffle what money they know about around so as to cover the largest ground, in terms of visitation. Don't expect as much in the way of services as you may have seen in the past – particularly while the park is counting on having to make do with less when the summer visitor hoards arrive. Nevertheless, here's what you can still do. 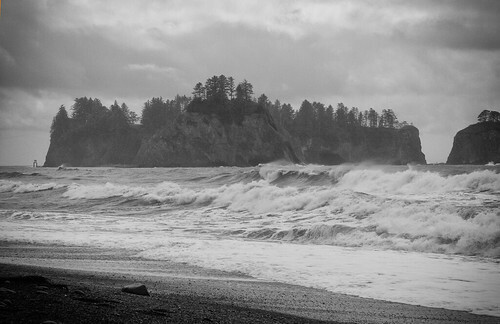 Kalaloch, Mora and Ozette campgrounds are open throughout the winter. Both Kalaloch and Mora campgrounds have running water and flush toilets; vault toilets are available in the Ozette campground. From personal experience, we can vouch for how great taking in a winter storm is from the bluffs above the ocean at Kalaloch campground. Down the block the Kalaloch Lodge is open year-round and offers overnight lodging, a dining room and gift shop. More information is available at http://www.thekalalochlodge.com/. Beach combing and storm watching is great, but it is wise to always check a current tide table and weather report before heading down to the beach. Stay far away from beach logs, which are easily tossed by waves. The Hoh Rain Forest area, with walking trails and a campground, remains open throughout the winter, weather permitting. Running water and flush toilets remain in operation in the Hoh Campground. The Hoh Rain Forest Visitor Center closed for the season on Dec. 2, 2013 but will reopen in early March. Lake Crescent Lodge has extended its season this year and offers overnight lodging, a dining room and gift shop through Dec. 31, 2013. More information is available at http://www.olympicnationalparks.com/accommodations/lake-crescent-resort.aspx. There are other woodsy campgrounds, too. The Quinault Graves Creek Campground is open through the winter, with vault toilets available. If you're really prepared for winter, the Sol Duc Road and Campground remain open, weather and road conditions permitting, throughout the winter. Snow accumulations may cause the road to be closed for extended time periods. Vault toilets are available in the campground. The Sol Duc Hot Springs Resort is closed for the season and will reopen in March. The Elwha Valley and Elwha Campground remain open; vault toilets are available at the campground. Heart O’the Hills Campground is open with running water and flush toilets available. Snow accumulation may cause the campground to become walk-in only. The Staircase area is open; the campground is open for walk-in camping only. Vault toilets are available in the campground. Leaving the rig down below and taking the toad or the tow vehicle is probably your best bet when you want to head up to the higher elevations in the park. Winter road access to Hurricane Ridge is always dependent on safe road and weather conditions. Hurricane Ridge Road is scheduled to be open Friday through Sunday and Monday holidays through March 30, 2014. Whether to open the Hurricane Ridge Road is a decision made each Friday, Saturday and Sunday through the winter season and is based on staff assessment of road and weather conditions, along with forecasts and information from the National Weather Service and the Northwest Avalanche Center. Current information about the Hurricane Ridge Road is posted on the Olympic National Park website (www.nps.gov/olym) and is available via the park’s Road and Weather Hotline at 360.565.3131. People can also follow “HRWinterAccess” on Twitter to receive road condition updates. All vehicles, including four wheel drive, must carry tire chains when traveling above the Heart O’the Hills entrance station between Nov. 15 and April 1. The Hurricane Ridge Visitor Center is open when the road is open, with restrooms, exhibits, park film and a warming area. The Hurricane Ridge snack bar and ski shop, with both ski and snowshoe rentals, will be open from 10 a.m. to 4 p.m. on Saturdays, Sundays and holiday Mondays beginning Saturday through March 30, 2014. The Hurricane Ridge Ski, Snowboard and Tubing Area will be open 10 a.m. to 4 p.m. on Saturdays, Sundays and Monday holidays from Dec. 7 through March 30, 2014. More information about the Hurricane Ridge downhill ski and snowboard area is available at hurricaneridge.com. Opportunities for cross-country skiers and snowshoe walkers range from open meadows near the visitor center to extreme terrain in the park’s wilderness backcountry. Anyone skiing or snowshoeing beyond the immediate Hurricane Ridge area should sign-in at the registration box in the Hurricane Ridge Visitor Center and be prepared for steep terrain and the possibility of avalanches. Ranger-led snowshoe walks will not be offered this winter. Although close to town, Hurricane Ridge is subject to extreme winter conditions, including sudden storms, white-outs and avalanche, making planning and preparation for winter conditions vitally important. 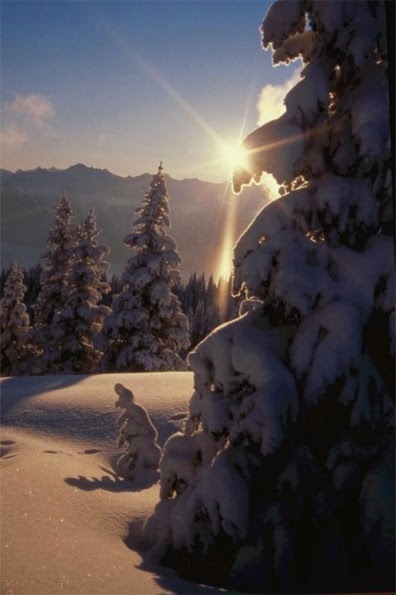 Information about ski and snowshoe routes and trails is available at park visitor centers, the Olympic National Park website or the park’s visitor newspaper, the Bugler. A little snow, a little rain – okay, a lot of rain – or some fine winter storm action, there's plenty of opportunity to catch your favorite winter RV activity in the Olympics. 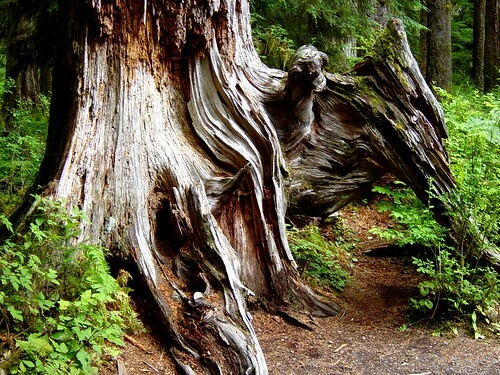 Source: Olympic National Park and rvtravel.com. 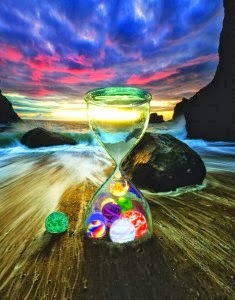 Since delicate green and blue Japanese glass fishing floats first washed up on Oregon beaches in the early twentieth century, beachcombers have scoured the sands for these prized finds. The number of Japanese floats has decreased over the years, but Oregon’s artists keep the tradition alive by planting a crop of handmade floats each fall. Cottonwood Canyon State Park will open Saturday, Sept. 28. The new 8,000-acre park is located along the John Day River on Highway 206 near Condon, Oregon. The park includes a small, primitive campground ($5 off-season, $9 in prime time), a picnic area and trails. Wildlife such as elk, bighorn sheep, chukar, snakes, lizards and waterfowl live in the park a little more than a two hour drive from Portland. The park will be open all year, with free daytime visits. The 21-site campground is first-come, first-served and is designed for tents or self-contained RVs. It has has running water, vault-style restrooms, but no showers. Do your RV travel plans take you through the southern end of Oregon? The state's big paper, The Oregonian, recently opened a survey to its readers for their pick of the "Best Campgrounds" in the area. You might want to add these to your planning process. Howard Prairie Lake Recreation Area, maintained by the Jackson County government, comes in at the top of the list. You may be familiar with the locale by knowing about the annual Shakespearian Festival held in nearby Ashland. East of that little college town is the five-mile long lake on which several campgrounds are to be found. The best of these, say readers, is the Howard Prairie Resort. Dry camp for $18 a night, or run your price up all the way to $30 a night for a full hookup. Trout and bass have to compete with the allure of a store, restaurant, laundry facilities, and full-service boat marina. Not too far from Ashland, too, is Emigrant Lake County Park. Full hookup sites run $30 a night, and reservations are important. Perhaps the popularity explains the price. Not only will you find fishing, boating, and water skiing, the county has capitalized with a 280 foot twin flume water slide. A half-hour north of Ashland (well, OK, make it 40 minutes for us slow pokes) is one of the most picturesque places in fall, the Valley of the Rogue State Park. While the "prime" season is summer (with full hookups running $24 a night), we'll not only shoot for the "discovery" season for a better price ($20), but the colors will knock your eye out. Joseph Stewart State Park on the Crater Lake Highway also gets a loud shout-out from readers. Broken Arrow Campground on Diamond Lake in the Umpqua National Forest. This one is closest to Roseburg, Oregon. You'll spend $15 per night for a spot. Not far away on the same lake the BLM operates another popular spot (with showers) called Hyatt Lake Campground. Rates here are $12 to $15 per night (depending on what night of the week) and comes with amenities including access to boat ramps and dock facilities, a fish cleaning station, a sand volleyball court, a basketball practice court, horseshoe pits, and a children's playground. Horseshoes, volleyballs, and basketballs are available for checkout/use at the Campground Administration building. Josephine County gets kudos from readers for its Indian Mary Campground. $22 per night for full hookup sites, or $20 for water and electric, both in prime and off season. Lots of local history around here. 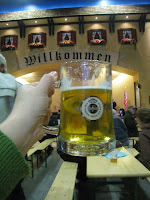 While Oktoberfest is considered the best of the German-heritage celebrations, Oregon’s town of Mt. Angel takes on winter with the “Wurst”—sausages, beer, oompah music, and more! Located 18 miles northwest of Salem on Highway 214, Mt. Angel was first settled by German immigrants in the late 1800s. Like Leavenworth, Washington, it preserves its traditions and Bavarian accent in the colorful, timbered storefronts of downtown. A highlight at any time of year, the Benedictine Abbey, founded by Swiss monks in 1883 perches above the town; on clear days enjoy incredible views of the surrounding Willamette Valley and the volcanic peaks of Mt. St. Helens, Mt. Adams, and Mt. Hood. Housed inside the Abbey is an incredible collection of illuminated manuscripts. The lively Fifth Annual Wurstfest takes place in the town’s Festhalle. Bring your appetite for the wide assortment of delicious, locally made sausages, German and domestic beers, cheeses and chocolates. And put on your dancing shoes for the irresistible tunes of traditional German music by popular bands. There are special activities for children, and craft and German souvenir vendor booths too. •Times: 11 a.m. to 11 p.m.
•Admission: $5 per person/$10 with a specialty stein. Kids admitted free. RVers can hookup at the Portland-Woodbury RV Park (next to the popular Woodbury Company Store). For info and reservations, click here. The Silver Spur RV park is offering a winter special: 50% off coupon for any night before March 15, 2013. For info and reservations, click here. Idaho is cutting edge when it comes to being traveler-friendly. Its innovative combination of Smartphone-Internet-Twitter means visitors can access every kind of travel information necessary for a safe and worry-free trip—in every season. This spectacular state, with its soaring mountains, rivers, lakes, and broad valleys, is a nature-lover’s paradise. And the public service 5-1-1 Program further confirms that “Welcome to Idaho” is not just another sign on the Interstate. Travelers can now choose their preferred electronic medium for information ranging from general travel conditions and road closures, to up-to-the-minute images from the 130 cameras positioned along mountain passes. For information by phone: Dial 511 (Options are clear and instructions simple to follow. You can even speak with a human if you wish, Monday through Friday, 8 a.m. to 5 p.m.
For information by Smartphone: Type 511.idaho.gov in the address bar and the website will automatically redirects the phone to the mobile website. For Twitter Feeds and Texts: Go to 511.idaho.gov. In the upper right corner click on “New User, Start Here.” Sign up for the free account and you can put in your routes and destination and you’ll receive notifications through email, text, or Twitter. The website: Find all travel information here, from campgrounds and RV parks to local and statewide events, and every attraction imaginable. 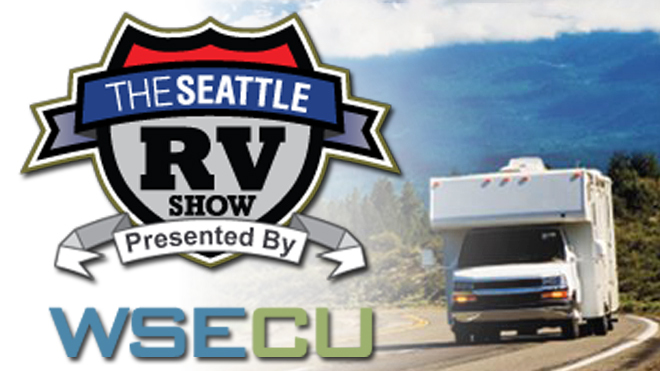 Fifty years and counting – that’s how long the Seattle RV show has been going! This year’s event, which runs from February 7-10, expands into an additional hall in the CenturyLink Field and Event Center. The special anniversary also features an RV giveaway sweepstakes, which involves an unusual “toss.” When you visit the Concourse level you’ll receive a voucher and number and the interesting instructions! The prize is a 2013 travel trailer from Keystone RV, valued at $18,995. Thursday & Friday: 11 a.m. – 8 p.m. The U.S. Forest Service website features a terrific series of videos dedicated to accessible sites, landmarks, trails, and natural sights. The spectacular waterfalls, including Multnomah, along with the Columbia River Gorge Discovery Center are part of the video series. To view the Web page and select the video of your choice, click here. Be sure to watch the first video at the top of the page; it’s a great introduction to the series and the accessible sites. 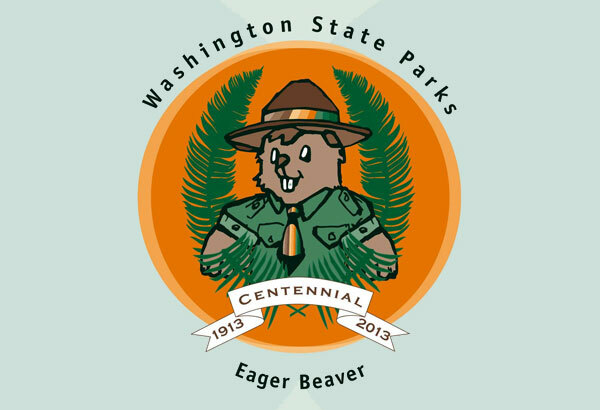 Celebrate Washington State Parks Centennial! This year, 2013, marks the 100th anniversary (March 19, 1913 to be exact) of the establishment of the Washington State Parks system—one of the country’s oldest. From Birch Bay in the northwest corner to Fields Spring in the southeast, from Crawford/Gardner Cave in the northeast to Paradise Point in the southwest... the 186 magnificent, historical, peaceful, and wild spots cover the four compass points of one of America’s most beautiful states. To celebrate the year, many parks are offering special activities, tours, interpretive programs, concerts, and much much more. For a list of parks and special events, click here. Even though nearly 40 million people visit the parks each year, the system faces looming budget cuts, putting the future of 116 parks in jeopardy. Everyone involved in the State Parks Commission is scrambling to find creative ways to shore up funds and keep all the parks running. Washington Governor Christine Gregoire has recommended using $19 million from the state’s General Fund to keep things running. The best source of revenue for the parks has been the Discover Pass, a user fee instituted in 2011. Since it costs $10 to enter each state park individually, the $30 annual pass, good throughout the system, is a outstanding deal. And although the Discover Pass hasn’t quite matched expectations in terms of quantity purchased, the parks do receive 84 percent of the revenue, or $25.20 per pass purchased. Remember that the Pass makes a great gift (birthday, anniversary, wedding etc. ), both for travelers to Washington State and to friends and family members who are residents who enjoy the state parks for weekend recreation. New this year is the option to pick your start date; it’s valid for one year from that date. For details and to purchase a Discover Pass, click here. For more than a century, magnificent Mt. Rainier National Park has been a sanctuary and recreation paradise every day of the year. Winter is a splendid time to visit the park and those of us with RVs have the chance to experience a snowy wonderland and great recreational opportunities. It’s important to be prepared for a winter stay in the park, from a well-equipped vehicle, including the mandatory tire chains, to proper outdoor clothing. • Nisqually (in the SW corner of the park, and gateway to Paradise) is the only point at which vehicles may access the park in winter. • The road between Longmire and Paradise will be closed Tuesdays and Wednesdays—days when the park receives its fewest number of visitors in the winter. • While camping in the park is available at Longmire, Narada Falls, and Paradise year-round, the gate at Longmire closes at 5 p.m. for the night for plowing and road safety. If you are planning to camp overnight on a Monday, be aware that because of the road closures on Tuesdays and Wednesdays, you won’t be able to drive back to Longmire until Thursday. If the weather makes passage impossible on Thursday, the road may also be closed until the plows can maneuver the area. In other words, have enough supplies on hand to weather the weather. • Thursdays through Mondays, the road will be plowed as early as possible (often by 7 a.m. if the conditions are good). Check radio station 610 AM for announcements. • The Visitor Center at Longmire has moved across the street for the winter, in the historic Administration Building—another cost-saving measure. Park Rangers will be there seven days a week from 9 a.m. until 4:30. There are lots of great opportunities to hike and snowshoe with a Ranger. At Paradise, the Jackson Visitor Center is open on weekends through March. • Road closures for the winter: Highways 123 and 410; the Stevens Canyon, White River, and Mowich Lake Roads; and Sunrise. They all, however, remain open for recreation.